Do you often fat or thin your chip shots leaving yourself with a long putt – or even another chip? Do you struggle to hit your bunker shots close to the hole consistently? When faced with a pitch shot do you lack confidence to get the ball next to the pin for an easy tap in? Do you feel embarrassed when you muck up a short game shot in front of your playing partners? Are you sick and tired of adding at least one extra shot to your score after you hit another bad short game shot? Would you like to be able to play every short game shot you face with confidence and authority, knowing that you’re going to get your golf ball close to the hole? The bad news is that the traditional golf media, and even well-meaning golfing professionals and friends have “programmed” you for short game failure. You’ve been bombarded with short game tips, instructions and advice from golfers who have good intentions, but they give you instructions that are never going to really help you improve your short game. (I’ll explain why in just a moment). No wonder so many golfers struggle with the short game and lack so much confidence. Your head has been filled with BAD advice and information that will never help you to up-and-down it like the pro’s because they’re not telling you one crucial piece of information that is needed for a great short game. The good news is, I’m about to share with you ONE thing you need in order to build a great short game that will help you to…. which other golfers look up to and respect. The truth is, being able to do this has almost nothing to do with learning speciality shots like flop shots, chip and run shots, high pitch shots…or any of the things that other golf teachers say it is. 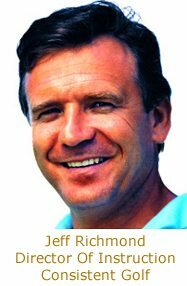 My name is Jeff Richmond and I’m the Director of Instruction for the online Consistent Golf School. Up until about 5 years ago I struggled with the short game. I mean I really struggled! I would be faced with your average pitch shots and I would be scared stiff that I would either fat or thin the ball making myself look like a fool. I would chunk chip shots. Hit pitch shots fat, leaving the ball just in front of me, or thin ball way past the pin. Other times I would hit the ball way to the left of the target. Then almost the next wedge shot I would hit the ball way to the right. I would leave the ball in the bunker sometimes. As a result, my playing partners didn’t have any respect for my short game and I didn’t have much respect for myself. I felt like I was some incompetent fool. You see, I had a very solid ball striking game (pro standard) but my short game was nowhere near the level of my ball striking, and it was embarrassing. Every time I would chunk a chip shot I would just wish the ground would open up and swallow me. I even remember double hitting a few chip shots. It was so embarrassing!! If you’ve experienced this yourself you know what I’m talking about. Anyway, I went searching for years trying to find the solution to my short game problems. I tried buying videos, books, going to other pro’s for lessons. All of these instructions taught me how to play different shots but they never really addressed the root cause of my problems…my lack of consistency and confidence. Then one day, quite by accident, I was out practicing my pitching when I made a startling discovery that turned my short game around from being mediocre at best, to pro-like almost instantly. This Short Game Discovery Was Amazing! Instead of being scared of short game shots I was now confident. Instead of just trying to get the ball on the green I was trying to hole my short game shots. Instead of being very nervous about people watching me play my short game shots I actually wanted people to watch so I could show off! The results were like a night and day difference. Just from one amazing discovery and a couple of hours of practicing to nail it! And if it hadn’t happened to me I wouldn’t have believed such a big turnaround was possible. As a result my scores dropped like a stone because 60 – 65% of golf is played within 100 yards of the hole. And 80% of the shots all golfers lose to par occur within 100 yards. That was certainly the case with me. So after making this discovery I was saving par consistently. I was making birdies on the par fives. And I had so much less pressure because my putts to save par were short! The same will happen with you too because the closer you hit your chips, pitches and bunker shots the lower your scores will be. No longer would they look away in almost disgust after I duffed another short game shot. Instead they were asking me how I turned my short game around so fast. Just imagine how much for more fun you’re going to have when you can hit the ball close to the pin when you’re playing any short game shot. You could find thousands of tips to improve every aspect of the short game, but you’ll no doubt end up confused and no better than when you started. The reason is because there’s one simple thing you need to focus on that is needed to be great at all of these parts of the short game. And I bet you’ve never really been taught or shown this secret before. So if short game shots are the weakest part of your game and are costing you a lot of strokes every round then by focusing on improving this aspect of your game with the one secret discovery I made, you’ll knock a bunch of strokes from your scores….easily and almost instantly. You see, you don’t need more information. You don’t need more tips. You don’t need more “speciality” short game advice. Because if you can’t hit chip shots consistently well, what’s the point in learning how to hit speciality short game shots? What you need is the one secret I accidentally discovered about 5 years ago so you too can have confidence with ALL of your short game shots. Look, anyone can have a great short game because it doesn’t require great power or strength. You just need the right knowledge of what and how to practice to improve your short game and…. Because I know what it’s like to suffer with a bad short game. And after making my short game discovery I knew I had to put what I discovered into a program to help other golfers that suffered with a bad short game. I called it The Short Game Improvement Program and it’s only ever (until now) been available as part of the online Consistent Golf School (which is probably why you haven’t heard of it). 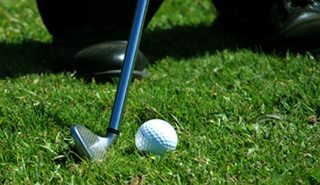 It’s a complete step-by-step system showing you how to implement this one secret I discovered into all aspects of your short game so you too can play your chips, pitches and bunkers shots with confidence — hitting them close to the pin, leaving yourself easy tap-ins and having so much more fun playing golf because you’re shooting lower scores. You’ll discover 3 things you must have for a great short game so you don’t get off track when you’re trying to improve. Discover the first (this is the secret), most important of these 3 things to focus on that virtually no one talks about or gets you to really focus on. This will help you to improve your short game in the quickest possible time. How to practice your chipping in the most efficient and best way possible so you don’t waste your time and you get fast improvement. Discover the correct chipping motion that will allow you to hit great chip shot after great chip shot. How you can use a screwdriver to massively improve your chipping consistency so you won’t flub chip shots and waste shots. Find out exactly how far back you should swing for a chip shot, to get the most consistent results. How to hit your short game shots automatically with your subconscious mind so your conscious mind doesn’t interfere. Discover 10 setup points for pitching success so you know exactly how to setup to almost guarantee you great pitch shots. Discover 7 setup points for chipping success so you can always setup to a chip shot the same way, so for every chip shot you have the best chance of getting the ball in the hole. Find out exactly what your hips should be doing when your chipping to help you’re shots go close to the hole. This is contrary to what others will have you believe, but it works like you wouldn’t believe! What to do to start your backswing off smoothly when chipping and pitching so you can swing with great tempo and rhythm hitting the ball crisply the first time, every time. How you can improve your pitching at home in the backyard so you can save yourself time and show massive improvement when you get out on the golf course – impressing your playing partners. How to work out exactly how far each of your clubs hits the ball so you can be confident in selecting a club for each short game shot, and know with confidence that the ball is going to go the distance you want it to. How to hit shots between 30 -100 yard almost exact distances so you have an easy first putt, which will help you score lower, gaining you more respect. A system to help you hit shots the exact distance you want so you’ll have a lot of confidence for any short game shot. The easiest way to hit different types of bunker shots without changing your natural swing. This makes bunker shots easy, which will give you great confidence. 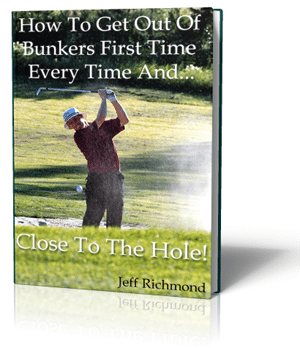 Find out how you can practice improving your bunker shots at home WITHOUT a bunker. This will save you time and help you to have big improvements out on the golf course. His confidence is now sky-high! Well, just imagine….you’re standing over a chip shot and feeling confident that the ball is going in the hole. And if it’s not going to finish in the hole you know it’s going to finish so damn close it will be an easy tap in. Then hitting the chip shot and watching the ball roll just like a putt into the hole. Imagine seeing your ball in a bunker and knowing that you’re going to “splash” the ball out close to the hole with confidence and ease. See yourself standing over a pitch shot with your playing partners watching you and knowing that you’re going to hit a great pitch shot that is going to skip a couple of times after you’ve hit it….spin…then stop within an easy tap-in distance. How Good Is It Going To Feel Standing Over Your Short Game Shots With A Feeling Of Confidence Rather Than Fear? Imagine your playing partners watching you hit your short game shots and asking you how you’ve managed to improve so much. Imagine being in control of your short game shots so you CAN get them close to the pin for easy tap-ins. How will it feel when you’re in trouble on a hole and your playing partners think you’re done for and then you pull out an amazing short game shot leaving them with their mouths open and wondering how you did it? Imagine beating your playing partners largely because of your great short game. How good is it going to be seeing your scores dropping because of all the shots you’re saving around the greens. Imagine how good it’s going to feel when you’re confident over your short game shots instead of worrying what people are going to think when you stuff up yet another “easy” shot. Imagine being called the guy that…“can get it up and down from anywhere” and having your playing partners look up to you and respect you because you have such a great short game. I’m sure it does…and this reality can begin for you just in a few moments from now. Discover why chipping is the easiest motion in golf next to putting and how you can make chipping as simple as putting. Learn exactly what a chip shot is (most people don’t know this and it makes the short game a lot harder by not knowing it). The two things you must do for every chip shot to help ensure a great chip shot. Look, you need to be told exactly what steps you must do so you’re guaranteed to have a great short game and as a result shoot lower scores. 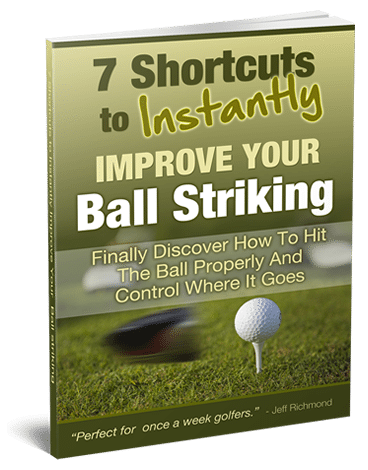 You can now get this entire step-by-step, Short Game Improvement program… ALL AT ONCE! (It’s in PDF Format that you can download and online videos that you can view at your own convenience). As good as The Short Game Improvement program is… sometimes you’ll just want to get some personal advice about your current problem. And when you get The Short Game Improvement Program now you can send me any golfing questions or problems (within 6 months of your order) and you’ll get a response back from me personally (Jeff Richmond) within 24-48 hours (generally sooner) Monday-Friday. When you get The Short Game Improvement program now you’ll get one free video review to redeem when you want – in the next 6 months. So simply send me your short game swing on video and I will analyze your swing and send you back advice and a plan on what are the main things you need to work on improving. 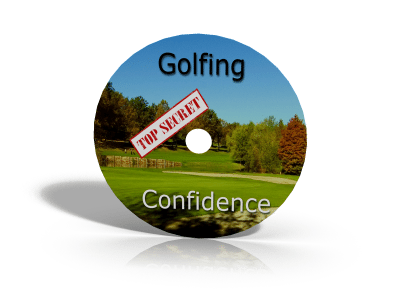 When you get The Short Game Improvement Program today you’ll also be able to download FREE the digital version (play it on your computer, iPod, smart phone, or any mp3 audio player) of a golfing confidence CD that has been sold for $24.95. “My handicap has slipped out from a 12 to a 18 over the last 6 months or so. It was all a mental thing. I started listening to this audio and my old confidence started coming back as if by magic. Within a couple of months of having this audio playing my golf game has improved so much I’m back to where I was 6 months ago. I can’t believe it! When you hear people say that golf is 90% mental they’re right! And I’ve even left some things out that you’re going to get as soon as you get The Short Game Improvement Program. I believe in over-delivering. All the free gifts I’ve told you about on this page are worth $301.95. So when you get The Short Game Improvement program today, worth $222, and all of these bonuses worth $301.95, it will only cost $47. That’s a saving of $476.95! But, this amazing offer is only available until midnight on the 16th of August 2016. So click the ‘Add To Cart’ button below and start to build a great short game in the next 5 minutes, because everything described on this page is digital so you get access to everything right after your order has been completed. When you get The Short Game Improvement program now you get a full 60 day money back guarantee. If you’re not happy with it for any reason then within 60 days of getting it you can get 100% of your money back — without any hassles. YES!…you have 60 days to try out all the Short Game Improvement program along with all the bonuses and if you don’t improve or think you will improve then simply get your money back. But remember, this amazing offer is only available until midnight on the 16th of August 2016. So now you know all of this, clearly you have no risk and everything to gain by taking action now and clicking here to start your 60 day risk free enrolment now﻿﻿﻿﻿﻿. Because when you do this you’ll be able to start practicing simple drills today, and exercises indoors at home, that will help you to build a great short game. Once you’ve successfully completed your order you’ll then be transferred to a secret page where you can get all the lessons in the Short Game Improvement program plus the other bonuses. But if you don’t join now you’ll probably always have problems with your short game and you’ll always feel frustrated with your short game. Aren’t you sick of your inconsistency? Aren’t you sick and tired of hitting shot after shot that are miles away from your best? And aren’t you sick of seeing professional golfers making the short game look so easy and not having a clue how to build a great short game like that? So just imagine how much better you’d feel when you’ve built a great, consistent short game that people give you compliments about. Well, that will never happen unless you take action and create better habits. And now for a tiny $47 you could have the short game you’ve always dreamed of. Now for such a low price of 47 bucks you could start to build your own tour quality short game – 100% guaranteed. Plus you get my help 100% FREE! That’s crazy value for you! Don’t you think you owe it to yourself to take action – do something completely different and stick to a plan that is going to give you the short game of your dreams? Think about that…aren’t you sick of your bad short game shots? Don’t you want to move on and build yourself a great short game that consistently get’s the ball inches from the cup for easy tap-ins? Important Note: If you’re not 100% sure whether this Short Game Improvement program is for you, get it anyway and then use the 60 day, 100% money back guarantee if you have to. That’s what it’s there for….to protect you! I’d hate for you to miss out on having a great short game because of bad experiences with other inferior golf improvement products. Look, life is too short to be frustrated with your short game. The time to take action is now. It’s now your turn to have a great short game once and for all. Start right now so that in your very next game of golf you can improve your short game and keep improving consistently. This could be the one solution you’ve been looking for to help you have a great short game of your dreams. But you’ll never know if you don’t take action now. And the fact is..unless you create better habits you’ll always be dreaming about how good a golfer you could be. So stop dreaming and start doing. Take action now and get The Short Game Improvement program now and start improving your short game in just 5 minutes from now! The choice is now yours. You can follow a proven formula to have a great short game — or you can keep doing what you’ve done up until now and score just like you’ve always done. I trust you’ll choose the correct path to have a great short game. Because you’ve found the one solution to your short game problems that you’ve been looking for, you just need to take action by clicking here to start your 60 day free trial now. P.S. When you get The Short Game Improvement program now by clicking the ‘Add To Cart’ button below it will be processed by Clickbank. They accept all of the major credit cards and implement some of the strongest security and anti-fraud strategies available today. So your order is completely secure and safe with them and that’s why I choose them to process our orders.